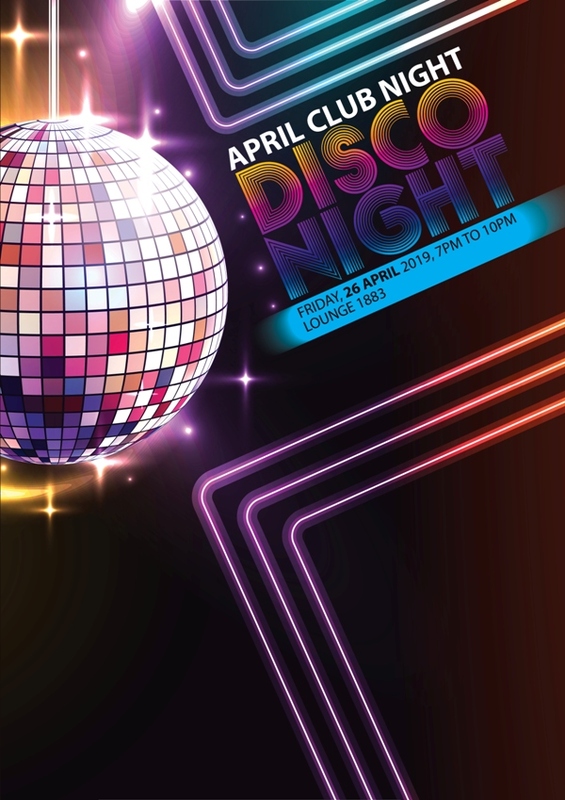 D.I.S.C.O - Dance, Indulge, Sing, Cheers and be Oh Oh Oh this April as we boogie to the sounds of disco with Locomotion. Bring out those disco clothes for this Club Night and you might just be awarded with a Best Dressed prize! Registration will start at 6.30pm. The Club will adopt a relaxed dress code in line with the theme for this event. Flip-flop slippers and shorts are not allowed. Free seating event. Free admission for Club members and guests. Limited to 4 guests per membership number. Food and drinks at your own expense. No reservation of seats.